Here are some ways people go about in creating backlinks. One of the quickest way to create backlinks is to create several (not on the same site but different sites) Social Networks accounts. Keep in mind that these sites now use the nofollow tags on their pages and often encrypt the outgoing links. If you have an online community, you are encourage to use CAPTCHA during registration and monitor multiple accounts using the same IP Address. Some sites (usually government owned) utilize a “You are Leaving” page and if you look carefully at the URL, you can see that substituting your domain, name for the landing page listed, it creates a backlink to your site’s homepage. Since this page is just created and unknown, a link has to be created to that exploited page so it can be found by Search Engines thus making it a valid backlink. If you have such technology on your site for exit links, you will want to make sure that the robots.txt file and meta tags encourage Search Engines to ignore them so it will not be abused. If you are reinstalling a program from the Internet or doing a first time install, should you choose run instead of save during the installation? For all installs over the Internet, I always encourage my clients to do saves instead of runs and I will go over a few points as to why this is best. Need to install the software program to multiple computers? To reduce the killing of your bandwidth, save the software program to your portable media (such as a USB Flash Drive or CD/DVD) so that you can reinstall the software program to the other computers. To download software programs, at times, licencing and download fees, are involved so if you have a copy saved locally, this prevents you from paying additional fees to download the software program once again. By saving the software program to the computer before installing, you can then scan it with your antivirus program to see if it is safe before executing it as legitimate sites often get hacked by exploiters who can upload rogue files for you to download and install. If Google Chrome crashed and refused to open no matter what you do, check the Programs and Features section under the Control Panel to see if the Google Chrome is still installed. If Google Chrome no longer listed in the Programs and Features section, you will unfortunately have to reinstall Google Chrome once again. If you are the only user of the computer and you installed the software personally, check your downloads folder for a copy of the installer file. If no copy is there as you selected RUN instead of SAVE, then you will need to download it once again from Google’s servers. From what I have seen, your Google Chrome settings will be intact and if you were already signed into Google Chrome, you will be automatically logged in again once it is reinstalled. The Devices and Printers section is one of the most useful section in the Windows Operating System as it shows you connected devices and if they are experiencing issues that you need to troubleshoot. In Windows 7, it is a left click away from the Start button. On other Operating Systems, it will be faster to right click to the Control Panel and access it from there. Please note some versions of Windows 10 has it removed so utilize the Power Users option. 1. Left click on the Start button. You can now view the installed devices and review listed issues. 1. Right click on the Start button. 2. Left click on Control Panel. 3. Choose view Devices and Printers or Devices and Printers. 1. Bring up the Run window. 2. In the Run window, type control printers and press the OK button or Enter/Return key. 3. You are now in the Devices and Printers window. If your printer shows offline, there could be numerous things to cause it. To get it back online, follow theses steps. Check to see if the printer is powered on. Often the printer’s power cord gets loose from the back of the printer or power outlet and will cause the printer to show offline. A loose parallel, Ethernet or USB data cable will also cause the printer to show offline. If this is the case, shut off the printer and reconnect the data cable properly. Once the parallel, Ethernet or USB data cable is reconnected, return power to the printer and check to see if the printer shows offline. Is the D, the DN, the T and the TN able to use the same drivers? Sometimes the same drivers will function normally but don’t always count on it so if you are swapping printers while one is under repair, add the correct drivers to print without issues. If you are not careful, printers can be duplicated causing issues so be sure to check the Devices and Printers section to see if ‘copy’ is amended to a printer name. Another form is one printer for each network account user that had sign in. If someone forgot to give the network printer a static IP Address, you may find this has changed so make sure that the IP Address in Devices and Printers matches the one in the printer. 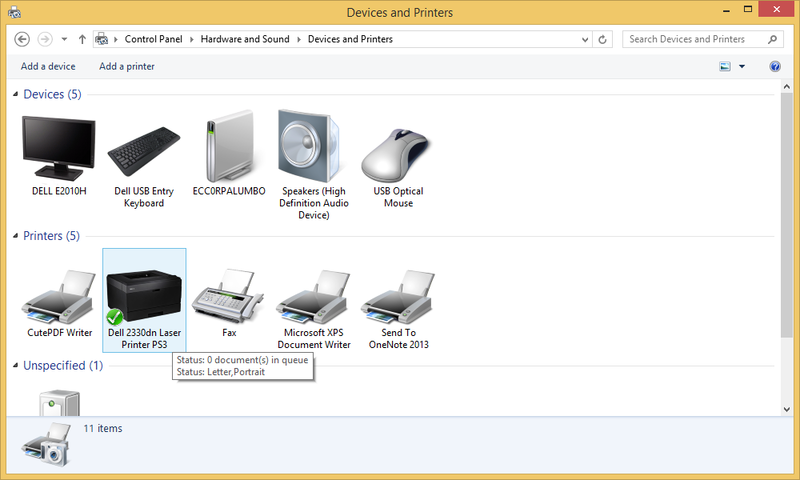 Also, If a printer has moved from LPT1 (parallel) to USB, this will cause issues as well. If the shared printed on a PC got reinstalled, you will need to sync your connection once more for all guest. One of my client who has a website is now seeing hits in their logs for wp-inorms.php from visitors in the Netherlands. Since “wp-” is in the file name, it usually means that the file is apart of WordPress and one would believe that someone and their botnet is out to wreak on the site but this appears to be a trick to end up in the server’s logs (ie. awstats, webalizer) as it often creates free backlinks to the exploiters. So far, I have not found and files calle wp-inorms.php or wp-insorsm.php on server in any folder so it does appear they are attempting to gain backlinks through referral spam. Will your domain or server pass the RBL (Real-time Blackhole List) test with flying colors or will there be an issue? Failed 0 out of 49 tests. Do you know that it is easy to hack a Net10 Voicemail? If you have access to the potential victim’s unlocked phone or know the unlock password to the phone, here is what you can do to gain access to the voicemail. 01. Bring up the dialing pad on the phone. 02. Enter the characters #793# and then hit the SEND key. The Net10 network will be contacted by the phone and will then trigger the network to reset the voicemail password to the last four (4) numbers of the phone. All you have to do now is enter call the Net10 voicemail line (hold 1 for a few seconds) then input the last four digits of the phone to listen to any saved, new messages or make changes. This is helpful to see if a spouse or friend is cheating behind your back or if you forgot your own voicemail password. Hopefully in the future, Net10 will give customers the option to reset the PIN while wiping any voice messages as an extra layer of security. If this is possible, then it can be a great way to mass delete messages that you had saved. 01. Never share your phone’s unlock password. 02. Don’t use the phone’s password for voicemail. 03. Delete unimportant messages after you listen to them. 04. Disable voicemail through Customer Service. 05. Use Google Voice as an option for mobile number. 06. Don’t share your Gmail/Google account password. 07. Don’t use 2-Step Verification with your Google account. 08. Have notifications hidden instead of displayed. Note: Anyone that can unlock your phone or see SMS Notification can get the 6-digit code to get in your Gmail account. There are two ways to have an Ad-Free Outlook when managing your email. For only $19.95 USD a year, you’ll see no graphical ads in your inbox with Ad-free Outlook.com and if you previously used Hotmail Plus, your account will be automatically upgraded to Ad-free Outlook.com. To save a little money, switch to Google Chrome and utilize an ad blocking extension (such as Adblock Plus) from the Chrome Web Store. Your network connection or host file can be tweaked to block the loading of images from ad servers and covers any browser used at the time. Please keep in mind that you need access to the Local Administrator account on the computer to make the changes since it will affect all users of the system. Once you setup Google Voice, the following message will be saved in your Inbox. Welcome to Google Voice. Google Voice gives you a single phone number that rings all of your phones, saves your voicemail online, and transcribes your voicemail to text. Other cool features include the ability to listen in on messages while they’re being left, block unwanted callers, and make cheap international calls. We hope you enjoy using Google Voice. What is not mentioned is that fact that you can get free calls with Google Voice by using the free WiFi at work, school or from your ISP so be sure to sign up while vanity numbers are still available. Second, if you are applying for jobs online and is worried about scams, the mask of the Google Voice number protects your actual phone number. Do you want to block traffic from URLOpener.com? The site in itself is harmless but you may have noticed that you are getting lots one page visits (usually to your home page) from visitors in India. What are they doing? My guess is they are seeing if the domain is expired and then will try and scoop it up. Another is to contact you at info@yourdomainname or any email address listed on the site for SEO and Web Design services. Well, you can put a stop to it by editing an .htaccess file in the root of your website. When they or anyone else attempt to load the page again in the future through those services, they will get a 403 Forbidden and should leave your site alone. Keep in mind that it will not stop the email spam as your email address will still be listed on the whois database along with your telephone number for them to call using VOIP. Save on New Hosting Plans! Thursday, January 14, 2016 Articles, Tips Comments Off on Save on New Hosting Plans! Do you want to save on new hosting plans at HostGator? Try holding out until January 22, 2016 as you will be able to save up to 60% on new hosting packages. JAN122: Save 40% on January 22 between 12:00am and 11:59pm CST. JAN123: Save 50% on January 23 between 12:00am and 11:59pm CST. JAN124: Save 60% on January 24 between 12:00am and 11:59pm CST. JAN127: Save 60% on January 27 between 12:00pm and 3:59pm CST. Note: To save on hosting plans on the 27th, you must take part in the offer between 12:00pm (not 12:00 AM) and 3:59pm. If you can not get onto the Internet or intranet while an Apple iPhone is charging via USB cable on a Windows PC or laptop, there are a few ways to get it fixed. A quick fix is to disconnect the USB cable from the USB port on the computing device but this could cause a problem if the battery on the Apple iPhone was low or if important files were being transferred between the computer and Apple iPhone so you should check with the owner of the Apple iPhone before disconnecting if the computer is shared. To make sure that you can always use the computing device while the Apple iPhone is being charged via the USB cable, please check the Network Connections area under the Control Panel to see if Apple Mobile Device Ethernet is listed there. When you locate the occurrence, please right-click on it and select disable. Please note that your account will need to be listed in the Administrator group for you to be able to do so. Otherwise, you will have to contact the owner of the computer or someone with Administrator access such as your IT Department. If you know the password for the iPhone, you can also go into Settings and toggle the Personal HotSpot options. As a safety precaution, you should surf the Internet with an account that is not an Administrator as malware and viruses can spread to all accounts on the PC. When changes are to be made, let the OS prompt you to enter a username and a password to an Administrator account. To make sure that you never have an issue with Apple Mobile Device Ethernet on your PC, check in the Control Panel and see if Apple iTunes is installed. If it is and you are not an Apple iPhone user or owner, then get rid of Apple iTunes and all related Apple software (QuickTime is okay to keep if you know how to patch against the QuickTime exploit discovered in 2016) from the machine. With the USB cable and Apple iPhone connected to the Windows computer, it is now configured to use the USB tethering mode and the computing device will want to access the Internet and intranet from the iPhone instead of the default Ethernet or Wireless connection for the computer so if you are in a job or school setting, you could find that the Internet works normally (and unblocked) to watch movies but your Intranet sessions (Exchange, Shared Drive, Portal, etc) fails and the reason is due to the Apple iPhone not being able to provide you access behind your job’s or school’s firewall. Are you trying to run Banner Navigation & HESAA.org (Higher Education Student Assistance Authority) in Internet Explorer on a Windows system and is not getting anywhere due to Java plugin issues? Well, you should be able to get it to work if you follow my tips. Please note you will need to know how to verify the Java version on your device and the quickest way is to go to the Control Panel and check under Program and Features. If the computer is running an old version of Java (such as Java 6), you will unfortunately need to use two browsers at a time. For Banner Navigation, you may continue use Internet Explorer but for HESAA.org, you will need to install the latest version of Firefox as it is the best from the list of free Internet browsers being offered to you. Please be sure to disable auto updates for Java or it will cause undesired results for Banner Navigation. Now, if the Windows computer is running the latest version of Java (such as Java 8 and above), all you need to do is navigate to the Control Panel, look for Java or Java 32 Bit, then open it and add the URL for your Banner Navigation and the page on HESAA.org under the Security Tab. Ignore any warning about not having https in the URL. Please note that the TAB feature on the Banner Navigation login screen that lets you move from the username to password areas will no longer work for you so please utilize the mouse to switch. It’s one of the bugs I have discovered and hope it will be fixed in future updates. Previous version of Microsoft Windows (ie. Vista and earlier) were untested at the time of this article posting. However, the only issue that you should encounter is with Internet Explorer since XP and Vista are limited to 8 and 9 respectively. HESAA.org will either encourage you to switch browsers or fail to connect with a warning. The Windows welcome screen displays all of the local users on the system, except the built-in administrator account that was created during setup. If you want to hide the Administrator account or a specific user from the list, you need to create a special value under this registry key. If you are not familiar with Windows Registry Key Names, do not to worry as you only needs to know how to launch the Registry Editor then navigate to the UserList to fix the settings. This is should be useful in getting any Administrator account of the Welcome screen in a public setting such as a library or classroom so that it will not be brute-forced. Be mindful that in these settings, the computers are often protected by SmartShield by Centurion Technologies so it has to be disable to make the changes. One command I like to run on a Windows computer when it is giving trouble is regedit.exe as it launches the Registry Editor. So far, I have used when I need to the following. Sadly, a Network Profile can become corrupted and the only way to fix it is use the Registry Editor to delete the profile from the ProfileList then append ‘.old’ to the profile and ask the user to log in and save a .txt file on the desktop to see if it erases once you log out. If the file remains, you can then copy the files from the appended ‘.old’ account so that the user can have access t them again. Keep in mind you will have to setup Outlook again so that they can access their email. After 100 voicemails in .wav format are listened from emails sent by Cisco’s Unity Connection Viewmail, users will have a dificult playing further messages as the cache is full. With the Registry Editor, you canlook up the area where the .wav files are being save and delete them all to restore playback. Do you need to know how to change a Wi-Fi password? Well, to be able the change the password or SSID if you choose to do so as well, you need to be able to get into the router. To find how to access it while you are connected, open a command prompt and type IPCONFIG /ALL. This command will list a bunch of IP Addresses and the information to access the router will be shown in the DNS Server area. Type that IP Address into your web browser and wait for the page to load. If the router request a username, try using admin and leave the password area blank. It that fails, try to use password as the password. Should that also fail, take up the router (if you can get access to it) and flip it over. You should be able to see the login credentials left by the manufacturer. If the password and username matches what your tried, it means it was changed and you will need to factory reset the router at a loss of some settings. Once you are in the Wi-Fi router, you can proceed to can change the password by navigating through the menu listing for the appropriate setting. Does your school offer a filtered Wi-Fi access to students and unrestricted to staff? If so, you can try to retrieve the Wi-Fi credentials if the computers are always left on. Using the Administrator account on the computer that is left logged in, verify that you are still connected to the SSID (The Wi-Fi name) of the unrestricted network. When you see that it is still connected, right click on the Wi-Fi strength on your Windows taskbar. Of the two options listed in the menu, please choose the Open and Network and Sharing Center. You should see the SSID (The Wi-Fi name) listed if your signal has not dropped out. Next, click on the SSID (The Wi-Fi name) to get to the Wi-Fi Status window to open and then choose Wireless Properties. On the right tab called Security, you will see the SSID (The Wi-Fi name) and the option to show the password’s characters. Using your paper and pencil, quickly copy down the information or copy and paste it in Microsoft Notepad and email it to yourself from the browser. All you have to do know it add the SSID (The Wi-Fi name) and password retrieved to your device to use that network. Keep in mind, the IT Department may change the information each semester or each year along with the SSID (The Wi-Fi name) as well. If you have a HP LaserJet 1022 and Windows Update on Windows 7 is prompting you to update, please ignore it unless you no longer wish to have proper printing access (keeps printing or won’t stop printing) or will be upgrading the unit to a more current model. If your HP LaserJet 1022 keeps printing the same thing over and over and over, you may want to deselect the checkbox “Enable two-way communication” on the “Ports” tab of the printer properties to see if that helps. That has helped me on four out on ten computers that I gave support. Unfortunately, on the other six computers, the box was already unchecked and making it selected or selected and unselected did not fix the issue. I had to use a restore point to remove the Windows update for those with software that is not compatible with Windows 8 and 10. If your HP LaserJet 1022 will not print at all, go back to an old copy of the image of your Windows 7 hard drive. You did remember to make a backup with Acronis before you made changes, right? If not, try a Restore Point if you have it turned on. Once up, disable the Windows updates (if Global Policy allows) and thank yourself for keeping backups. Note: See if an upgrade to Windows 10 will fix both type of printing issues. First, clone your drive with Acronis and update the clone to Windows 10. If it works, save the original hard disk drive for a future emergency. This will make sure you are protected against Meltdown and Spectre. Need a little help fixing a 400 Bad Request? Most technicians will tell you to try clearing cache and cookie in one of the free Internet browsers that you have installed and from my experience, that is the first thing that you would have tried so I always give the advice of changing the ports info in the URL of the browser to port 80 and if the server that you are connecting to has a valid SSL certificate, to use HTTPS (port 443) over HTTP (port 80). I find that computer users do not want to kill off their cookies as the cookies are being used to store username and passwords for their online accounts and it will be a task to try recover that information. If you want to determine if the cookies or the cache is causing the 400 Bad Request issue or not, use the “incognito” function of the browser to load the page. If the error persists (as cookies are not transferred to your incognito session, then the issue is in on the server and not your device. To verify, use one of the alternate free Internet browsers and see if the issue continues. Hopefully, the site support multiple browsers and not only the one that came installed on the computer. Copy the full URL and visit archive.org and have it look up the link. I you see it has not been archived in a while, it means the page has moved so if it was a link from an external site ignore it going forward. If the archive is recent, it may be down for maintenance, high traffic or the webmaster goofed up. If the website belongs to you and is giving the error message, the first thing you need to do is check the .htaccess file on the root of the server then subfolders or subdomain. Before editing an .htaccess file, it is important to make a local backup copy and pay attention to any lines mentioning ErrorDocument 403 or ErrorDocument 404. This blog use to have index.html as my homepage and I targeted 403 and 404 errors to this page. When I moved to PHP and had index.php as the homepage, I failed to update the .htaccess file and this caused ErrorDocument warnings I posted above and doubled as I started using SSL certificates. To reduce that from happening for sites I manage going forward, I enable a clean home page URL by editing an .htaccess file and hasn’t had an issue since 2003. Using a technology (ie. plugins) that lists the incoming search terms of past visitors to your blog pages is a bad idea and I shall go over a few reasons. You would not send your marketing plans and tactics over to your competitors but having the search terms used to find your pages, is giving them plenty ammunition to get their site ranking as high or higher than your site if you have these posted at the bottom of your articles. If you are running AdSense, for example, certain keywords on the page could block the advertisement from showing and accidental and deliberate search terms by visitors (ie. your competitor) could stick on your pages causing you loss revenue. After a while, Search Engines are going to treat this as spam as it is not adding any value to the reader. As a matter of fact, Search Engines has started to encrypt their Search Results and will delete the referral keywords used to find your blog’s page. Only Google Analytics will have the information if you added it to your pages and SEO spammers will taint it with fake referral spam. So, do you see how potentially bad it is? Good! Check out tips for new bloggers and Happy blogging!